UM Lohia Two Wheelers Pvt. 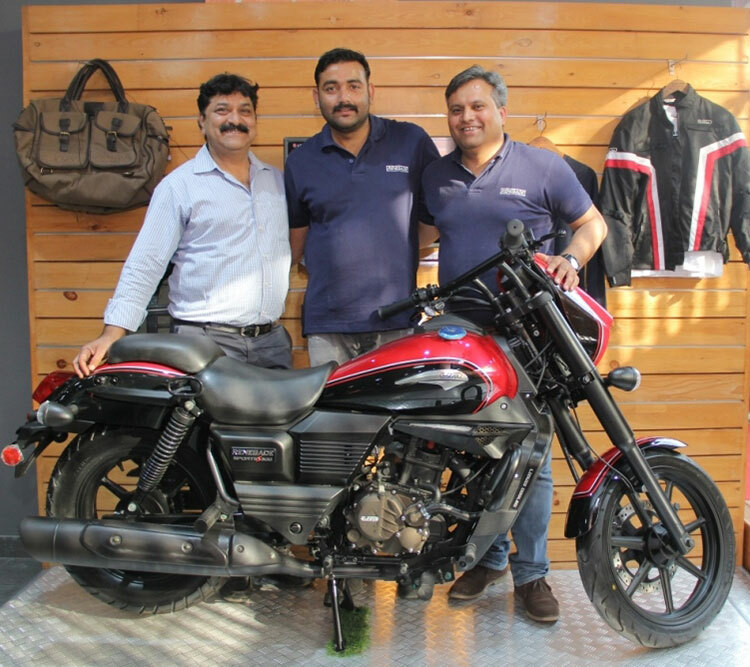 Ltd, the Indian arm of the American motorcycle maker UM International, LLC — along with Lohia Auto inaugurated its dealership in Varanasi today. The dealership located at Hotel Regenta, AirPort Road, Byas Bagh was inaugurated by Mr. Rajeev Mishra, CEO UM Lohia Two Wheelers Pvt. Ltd. The state of the art dealership spread over 2700 sq. ft includes display space as well as the service centre. The entire range of UM accessories and apparel will also be available at this dealership. Besides this, the customers will also be part of the 24×7 Roadside Assistance Programme (RSA) that is already being offered by UM Motorcycles for their customers pan India. The opening of our dealership is in line with our vision to have a pan India presence by the end of this year. Varanasi is one of the fastest growing cities of the region and is very close to being a “mini metropolitan city” in the state of Uttar Pradesh. Hence, we felt, it was imperative to have a dealership in the city as well. The customers of this region are sure of their preference when it comes to personal mobility, and our products perfectly fit in that space. It’s indeed an honour for us to be a partner of UM Motorcycles, the world renowned motorcycle manufacturer. Varanasi has a rich motorcycling culture and after riding the Renegade Commando and the Renegade Sports S, I am sure that all bikers who prefer cruisers will opt for our products without a single thought. As representatives of UM Motorcycles, we will ensure all customers are pampered with the luxurious UM experience. The level of interest in the UM brand in Varanasi has been very positive. Our investment in the showroom and workshop has already been rewarded by confirmed orders which we have received prior to the inauguration. The Renegade Sports S is available at INR 1,64,953 lakh (ex-showroom, Varanasi), while the Renegade Commando is available at 1,71,367 lakh (ex-showroom Varanasi).